Infinity is a miniature wargame that generally uses 28mm models. It is a science fiction based environment with Magna aesthetics. Infinity's models are highly detailed and very futuristic in style. 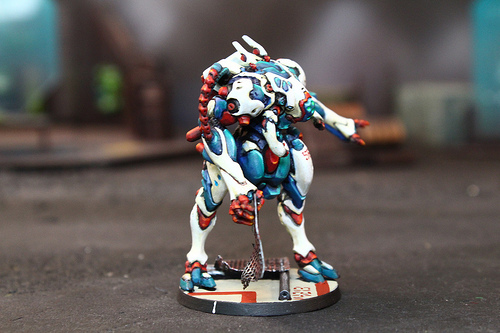 Blue Table Painting offers all available Infinity miniatures. Players can choose from several factions including: PanOceania, Yu Jing, Ariadna, Haqqislam, Nomads, C. Army, Aleph, Tohaa, and Mercs. Blue Table Painting offers the unique ability to not only supply you with your miniatures, but also create a custom army, painting at high professional levels, to ensure the best gaming experience possible.